We Made the Front Page of the Pioneer Press! 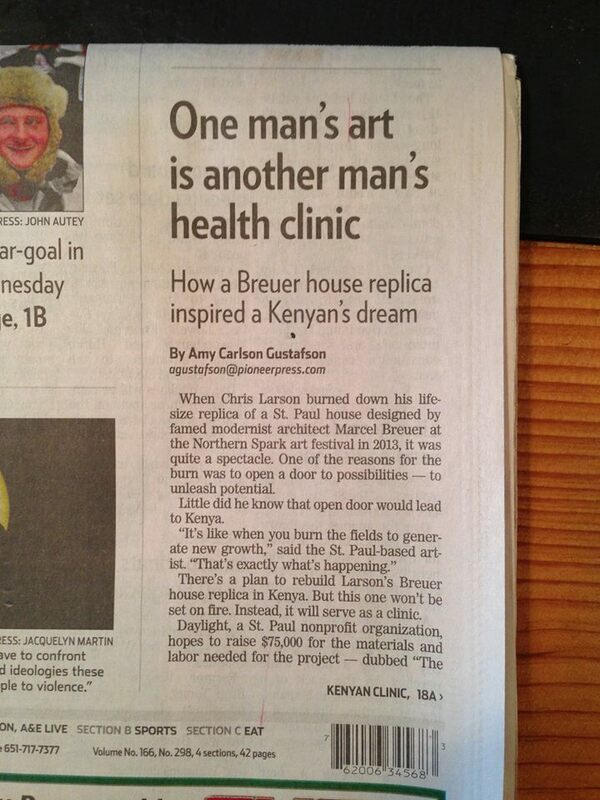 An Excerpt from the Pioneer Press St. Paul Front Page Article on the Daylight Clinic! Kimpur and Larson started talking about the project a little more than a year ago. 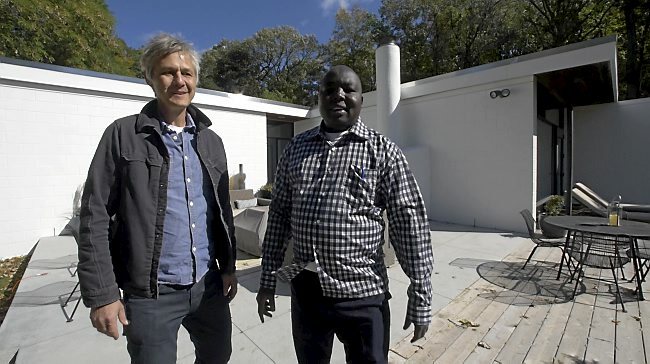 They met in October and visited the real Breuer house in St. Paul. “It was important for Michael to have a physical connection with the house,” Larson said. “He was feeling the walls, almost trying to communicate back home that this is a sturdy building and is going to be amazing for the clinic. He talked about this exchange of architecture and ideas and how important space is. Kimpur said the clinic will not look out of place in Kapenguria. Breuer was a Bauhaus-trained, Hungarian-born architect behind the striking Abbey Church at St. John’s University in Collegeville, Minn., and New York’s Whitney Museum of American Art. His 1,800-square-foot house on a bluff above the Mississippi River in St. Paul’s Highwood Hills neighborhood was originally designed for artist and monk Frank Kacmarcik. It features concrete block walls, steel doors, a flat roof and floor-to-ceiling windows. 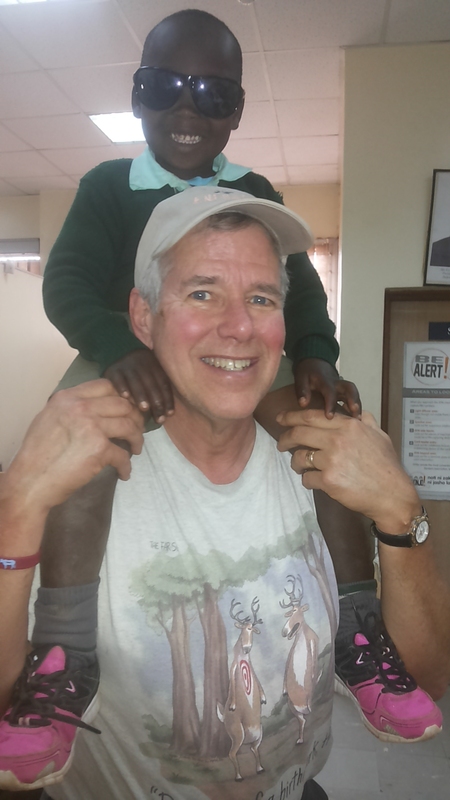 Please note that the Daylight Clinic is a project initiated by Daylight partner and friend Chris Larson. Our funding for the Daylight Clinic is largely coming from new first time Daylight Supporters. However, we encourage our Daylight Partners to make a special donation to the clinic of any amount to help make this Clinic possible. All donations go to Daylight and are Tax Deductable. Thanks to our Friends from Stillwater for a Great Trip! My family and I, along with the staff and children of Daylight wanted to say thank you to the Stillwater Presbyterian Team for sharing your lives with us this January. 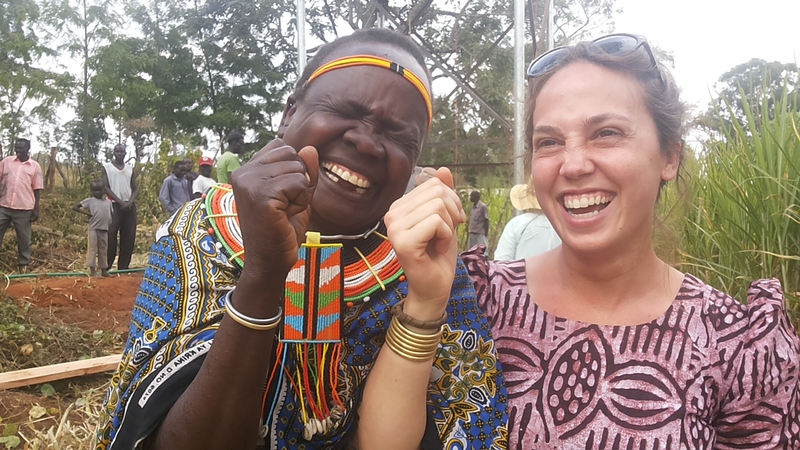 It was so encouraging for our staff, our students, and my family to have such a wonderful team of friends come visit us and help us with so many important projects. It was also amazing for me personally, because I attended Stillwater Presbyterian while I lived in Minnesota. I remembering sharing so many stories with the congregation about my hopes for the children of my country. 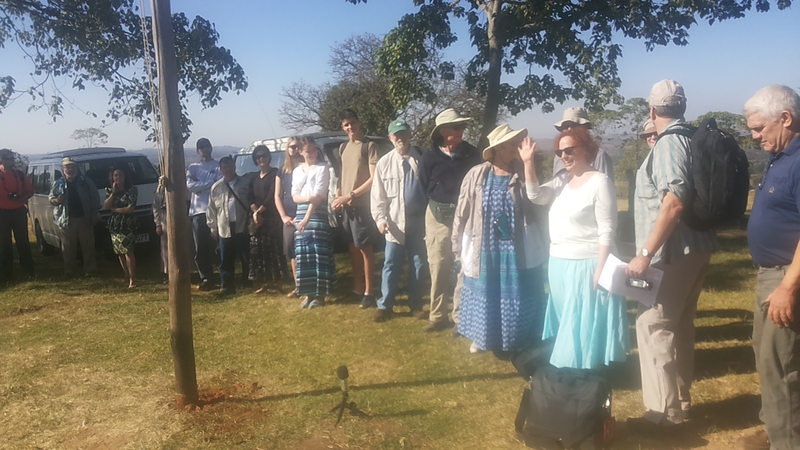 And as we got to know each other better the congregation of Stillwater Presbyterian became my new church family. So thank you for your friendship over the last 15 years. It was truly a big time joy to host my friends at my home after they had opened their home to me so many times. I took a few pictures with my cell phone that I thought really captured a few moments. 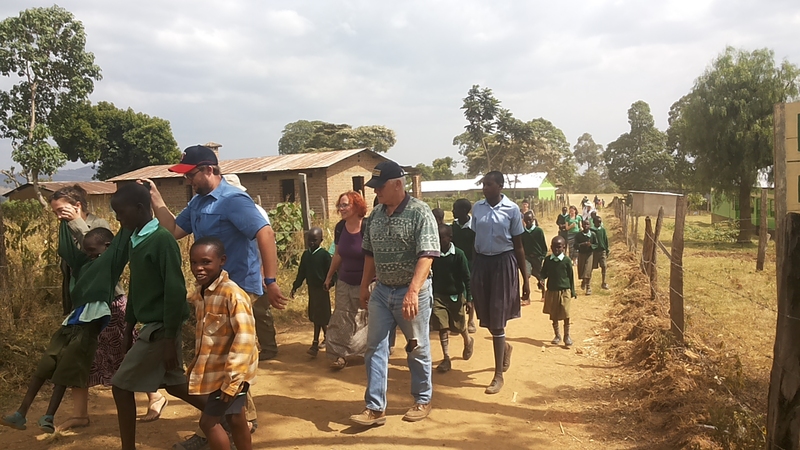 It was like watching my life come full circle as I watched my friends from America walk side by side with my friends in Kenya! 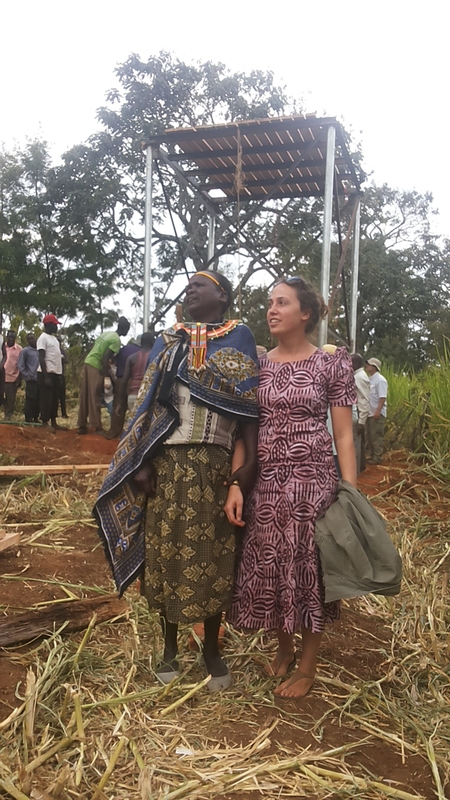 One of the big highlights of the trip was getting the new water tower which was installed with the united effort of Daylight builders, staff, and the Stillwater team (you can see them in the back) astounded to find that it was indeed level! Now the next big job is getting the water tank up! But that will be a story for another day. 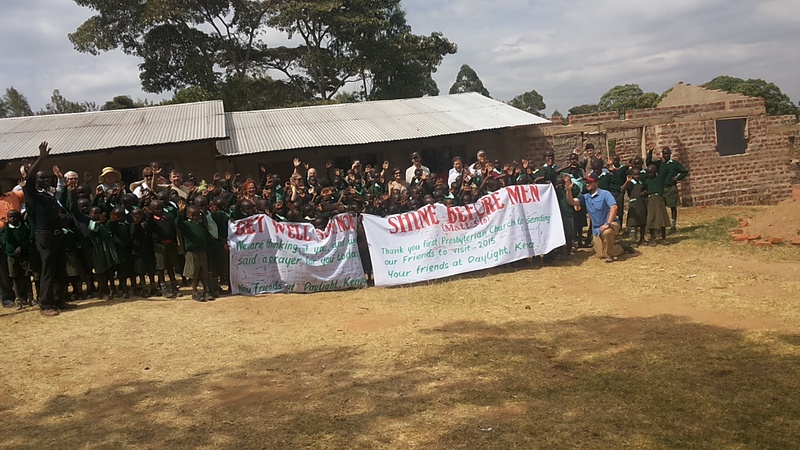 ***DAYLIGHT 1 MINUTE UPDATE CORRECTION: Our Daylight Team works really hard to provide you with up-to-date information on what is going on at Daylight Kenya. We also work hard to make sure that information is correct. That is why we would like to apologize for our “1 Min Update: Daylight’s New Energy Efficient Wood Burning Stove.” As a few of our partners noticed, the image we sent was of the old stoves. The new stoves have yet to be installed. We will let you know as soon as they are up and running.